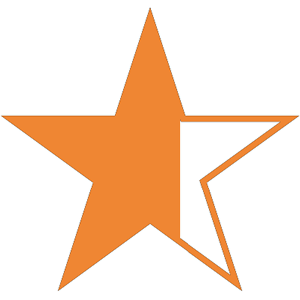 A star is a widely understood symbol used for ratings. If you’re building a UI for rating in an app, chances are you’ll be using a star in there somewhere. 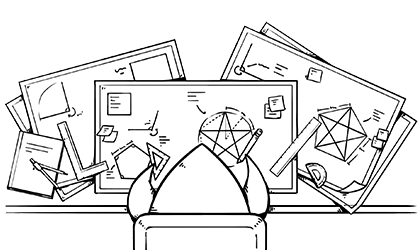 There are many different ways to get a star on the screen in your app, but the best way is to draw it from scratch in code. Not only does this give you total flexibility in terms of size and screen resolution and the ability to create awesome effects using core animation, it also allows you to totally nerd out on geometry. You can point to articles like this the next time someone dares to question why you learn all that stuff at school because “you’ll never use it in real life”. 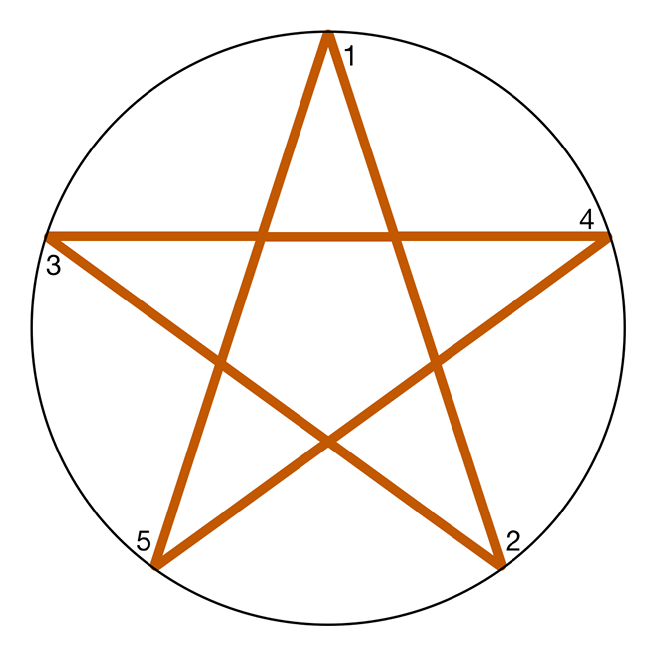 Drawing a star like this doesn’t give the right result. It’s fine if all I want to do is fill the path, but if I want to have empty or partially filled stars (to represent an average rating of 3.6 stars, for example) then this path isn’t going to work. There’s all that mess in the middle which I don’t want to see. How can I calculate where those inner points are going to be? It’s time to bust out some trigonometry. What I want to do is work out where the inner points of the star should be, so I can draw straight to them instead of relying on lines crossing over. 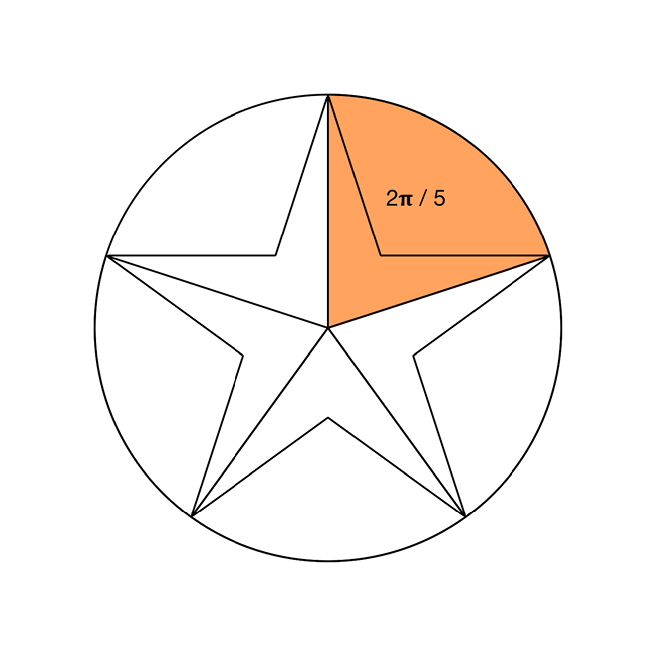 To do this I need to find out the distance from the centre of the circle to the inner point of the star. The inner point is highlighted in blue on the diagram above. 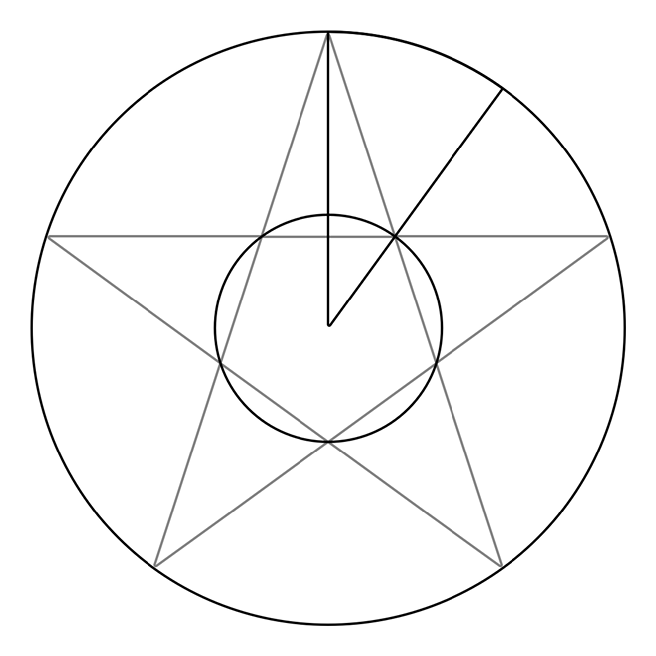 Consider the circle over the inner point. 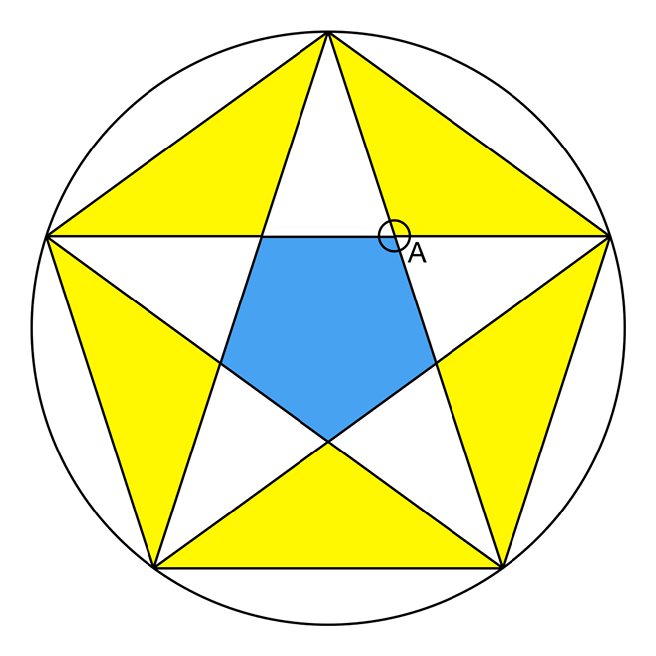 The blue section of the circle matches the internal angle of the pentagon. The bottom right is 𝛑 - that value, because that’s how many radians there are in half a circle. 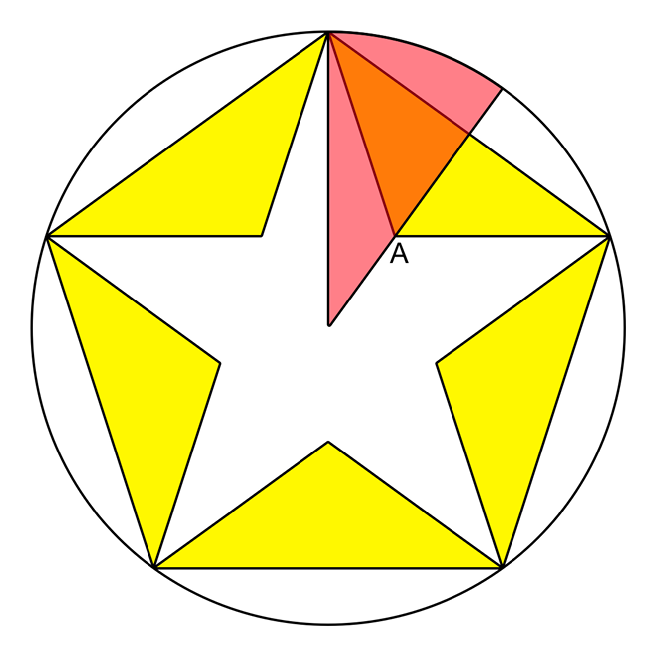 Those values are mirrored in the top half of the circle, so the yellow section of the circle is the same as the internal angle of the pentagon. 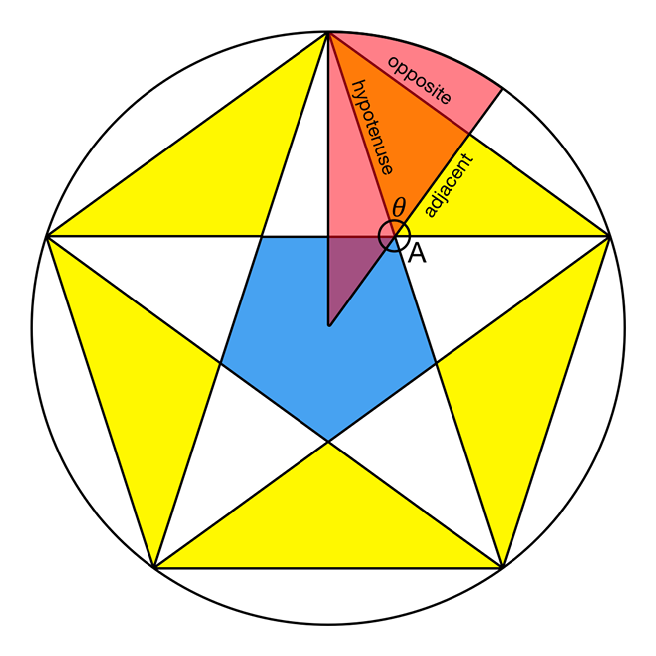 The top right yellow section is the angle I’m interested in - the edge of the triangle passes through this, and because the edge ends at the mid-point of the line between the two outer points, I know that the edge cuts that yellow angle in half - so I now have one of the internal angles of my triangle! This is enough information for me to calculate everything I need to know. As said earlier, I need any two of these pieces of information. 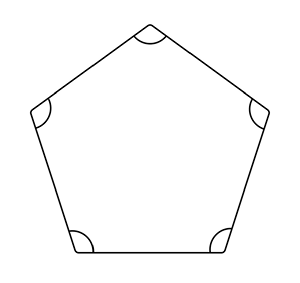 I have 𝜃, which is half of the internal angle of a pentagon, or (3𝛑 / 5) / 2 (simplified to 0.3𝛑 if you like) and I have the length of the opposite side. I’m interested in the length of the adjacent side. This gives me the distance from the inner point to the midpoint of the two outer points. I actually care about the distance from the center of the circle to the inner point, but that’s easy to calculate with my CGPoint extension. Combining the two arrays of points into a single path gives me a perfect star, with no messy internal lines. ★★★★★ for geometry! The star path is more flexible and offers better performance when used in conjunction with a CAShapeLayer. That implementation is left as an exercise for the reader. Having geometric forms as bezier paths gives you total flexibility for UI design and makes changes to size, styling and color straightforward. It’s possible to make almost any geometric form in code, but you may need to dust off some school geometry to get there. And you might even have fun doing it!